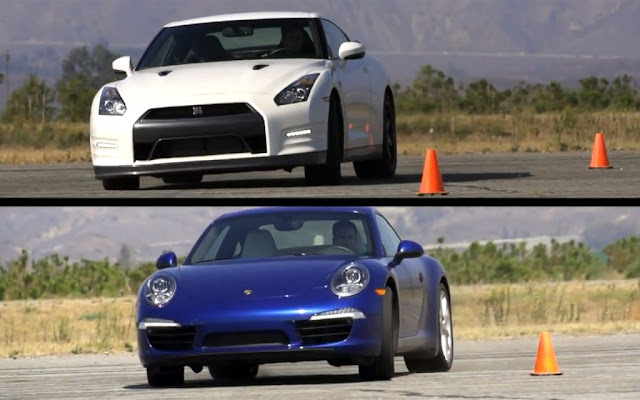 Motor Trend Magazine took their long term Nissan GT-R Black Edition, and pitted it against the new Porsche 911 in a figure eight test, to determine how and why they do what they do. 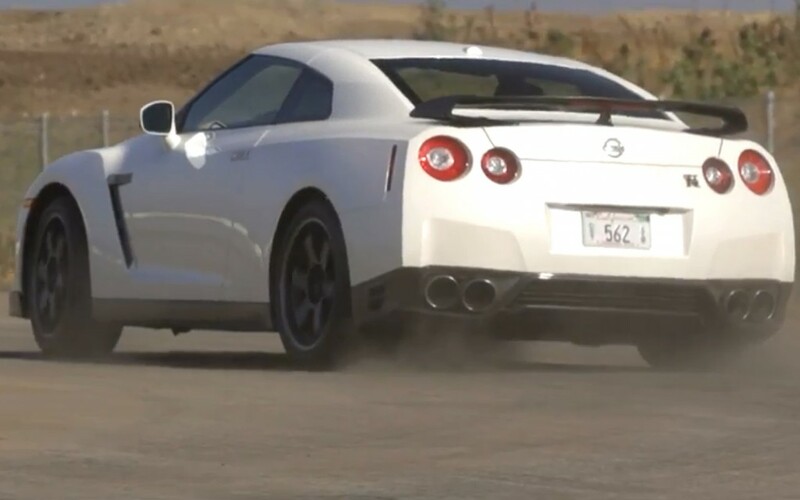 Despite being larger and heavier, the front-engine, all-wheel-drive Nissan GT-R is about one second quicker around the figure eight thanks to a 145-hp advantage and series of electronically controlled differentials that send power where it can be best utilized. Though the GT-R is faster around the figure-eight, the two supercars pull the same lateral g.
The Porsche has the new active anti roll system, and torque vectoring to keep the car pointed the way you want it to go. The Nissan GT-R uses its ATTESA all wheel drive system, and extra power to go though the course. They say the Nissan GT-R has a series of electronically controlled diffs, but really it only has one, the center diff/transfercase. Both the front and rear diffs are not electronically controlled. The R33, and R34 had an electronically controlled lockup(not vectoring) of the rear differential called ATTESA ETS-PRO, but it hasn't made it to the R35 yet.